This autonomous robot will follow a light source that illuminates sensors in the front of the robot. After ten separate moves, the robot will retrace its path back to its approximate starting position. 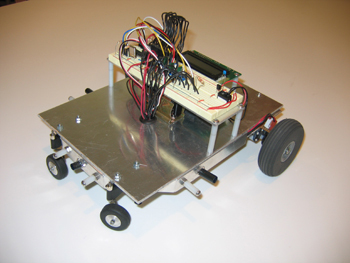 The robot uses a 18F2410 microcontroller from Microchip Technology and it is programmed using PICBASIC PRO from micro-Engineering Labs, Inc.